Our gift boxes are perfect for every occasion and every taste â€” real estate closings, new business, thank yous, special clients, company picnics, mother's day, father's day, birthdays, cook-outs, housewarming, holiday get-togethers, anniversaries, welcome, beach weekends and more! With this box you're set for everything Italian! 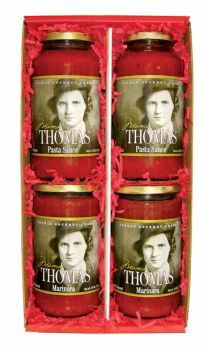 Enjoy pasta, meatballs, pizza and more with two of the chunkiest and tastiest sauces on the market. 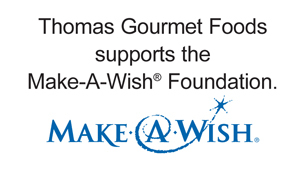 Thomas Gourmet Foods offers six Gift Box Sets as well as Custom Gift Boxes and Baskets!